Junior Youth Spiritual Empowerment Program assists junior youth (ages 11-14) to take ownership for their spiritual and intellectual development, to develop a strong sense of purpose and the volition needed to make good decisions, and to engage in meaningful social action in their communities..Junior Youth refers to a special group ages 11-14 with unique needs as they are somewhat between childhood and youth when many changes are occurring within them. 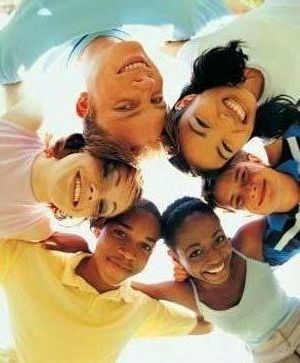 The program consists of trained older youth who facilitate the creation of a Junior Youth Group, a group of some 10 to 15 junior youth who together will participate in various efforts, such as discussions, recreation, activities and service projects. The groups typically meet once a week, and participants play games, discuss issues, study literature and organize service projects. The sessions are facilitated by an animator, who serves as a moderator rather than a teacher. Book 5 raises up animators of junior youth groups. Youth deepening: Monday nights, Foundations of World Unity by ‘Abdu’l-Bahá. If anyone is interested, please contact Parastoo Farahani: 602/672-1849 or Nadia Alinaghizadeh: 602/373-3095.